The article below shows how direct mail remains a superstar of the marketing world and is helping to trigger even greater response rates when paired with digital channels. The DMA did a study asking people how they preferred to receive business communication, and 69 percent preferred direct mail. Remind your customers about the response rates they could achieve when using print with digital marketing channels when they are planning their next marketing campaign. The key to a successful campaign is to have each channel work together so you can increase response rates and improve sales. If direct mail didn’t work, why are eBay, Yahoo! and Google using it? One simple answer… IT WORKS! 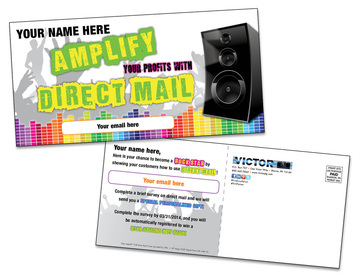 Give us a call and we will help you with your customer’s next Direct Mail campaign!